Accounting is a profession that has existed since the pre-historic times. During its journey, accounting has seen many transformations as a result of the changing world and the resources available. The use of paper for bookkeeping seems to be obsolete now. Gone are the days when large ledgers were used to write balance sheets. The evolution of technology in the modern era lead to the digitisation of the entire accounting process. Nowadays, accounting software exhibiting superior performance like QuickBooks, Xero, and Sage are helping accountants streamline their accounting process and automate mundane accounting tasks. These accounting software use the capabilities of AI to automate tasks such as data entry, account payables, reconciliations, and more. The parent companies of these software try to introduce updates periodically to better the performance of the software and add new features. Moreover, the introduction of cloud computing into the world of accounting has also resulted in the accounting process being managed in a more flexible, mobile, and secure environment. Artificial Intelligence is a way to reduce the human effort on tedious tasks and eliminate errors. No matter how advanced the accounting software may be, they still need to be operated by the accountants. The human intellect is capable of inexplicable achievements. However, it also susceptible to mistakes. The phrase “To err is human” is more appropriate than you might care to accept. In the field of accounting, the slightest of error can lead to discrepancies which if not rectified in time can prove to be catastrophic. Artificial Intelligence, as the name suggests, is a concept that helps to perform tasks that are time-consuming for humans, the time they would better spend focusing on the more pressing matters. It is designed to identify patterns and behaviours based on extensive processing and make an informed decision. John McCarthy is considered responsible for coining the term Artificial Intelligence in 1955 with the goal of making machines capable of making intelligent decisions. In this modern world, however, there might be only a handful of people that might be oblivious to AI. We all utilize the capabilities of AI in one way or the other in our daily lives. Take the examples of Alexa or Siri for that matter. From recognizing voice commands to understanding your preferences, these products have successfully enhanced the way we operate. According to Gartner, AI will be responsible for a global business value of 1.2 trillion in 2018, a 70 percent increase from the year 2017. This number is expected to go up to 3.9 trillion in 2022. Major companies like Google, Netflix, and Tesla rely on AI for a variety of tasks. For instance, we have all heard of the company Tesla and its CEO Elon Musk’s interest in AI to design self-driving cars with auto-pilot that are level 5 autonomous, that is fully operating without any human inference. But why is there a need of AI? Most people view AI as a means for the companies to replace the human workforce with machines to save costs. However, it is not entirely true. AI is a concept that is designed to help humans in optimising their productivity and take core decisions based on intensive data processing rather than replacing them. AI enables humans to make predictions based on patterns and data. If AI can help you with the mundane tasks that you need to accomplish on a daily basis, you can get more time to focus on the more complex tasks. With respect to the industries that require an error-free approach such as finance or accounting, AI seems to be a good fit. Here is how the amalgamation of accounting and AI can reap fruitful results. As every industry is trying to utilise the capabilities of AI in some or the other way. Hence, in the field of accounting as well, the concept of AI is spreading like wildfire. 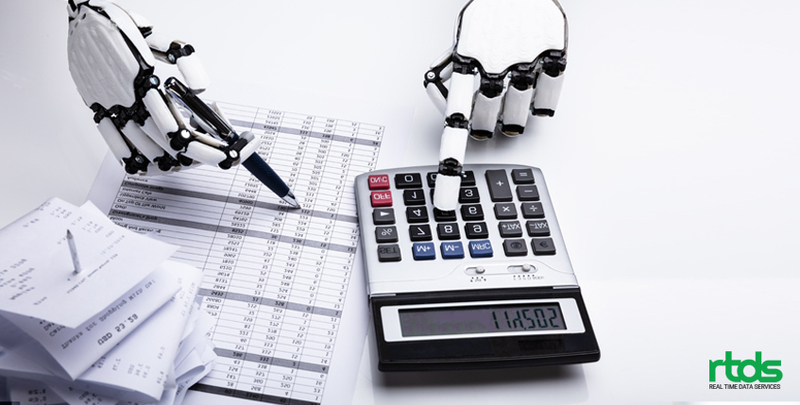 However, the concept of AI is new to accounting, like any other field, accountants are also looking to harness AI in performing account-related tasks. So, how can AI be helpful to accountants in the long and short run? AI can automate tasks such as updating inventory, invoicing, processing payments. The AI can also help in tracking the status of orders as well as purchasing them. The documents can be sent automatically to the superiors for approval. The process of storing the data and exporting it to the specified file can also be automated. The data can also be segregated into the corresponding categories. By the year 2020, some critical tasks such as audits, tax filing, payroll, and banking are also expected to be automated using Artificial Intelligence. This will be a big step for accounting AI as these tasks require dedicated human intervention. What does AI mean for the future of accountants? Since all the major accounting-related tasks are expected to be accomplished with the help of AI, does that mean there is something to worry about for the accountants? The answer is: most certainly not. The accountants need to be adaptable to the new methods of operation and accept AI with open arms. The field of accounting and finance are not just about numbers and algorithms; hence, the human intellect cannot be overshadowed in any way. However, the role of an accountant is expected to change with the changing landscape of accounting. The accountants that look to take over the role of an advisor and help the clients in more critical financial matters can leverage the capabilities of AI in a productive way. Since the repetitive tasks are automated due to AI, the accountants can manage their time better and move to the next level as an advisor. They can help the clients to develop a financial strategy, take more interest in their process, and build strong client relations. So, there is no reason for accountants not to adopt AI in their process. With the help of AI, the accountants will not only be able to enhance their accounting process but will also achieve the next level of success as an advisor. 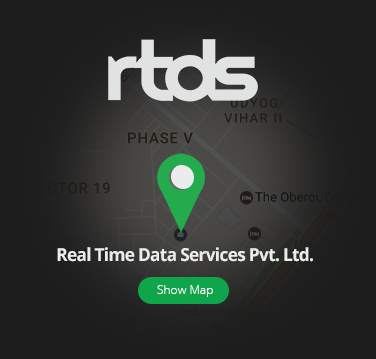 Sharad Acharya is a writer at Real Time Data Services (RTDS) with several years of experience in the cloud industry. He loves to research on various technologies and has a firm grasp on topics like VDI and HIPAA.